As promised, Digong The Statesman has finally made his appearance. President Rodrigo Duterte has always been known to be a tough-talker, issuing statements packed with curses that could easily be misconstrued. 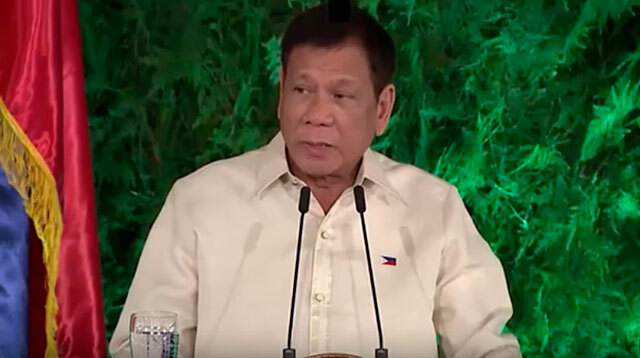 But for his inauguration on June 30, the 16th president of the Philippines made it a point to prove to the nation that he has a statesman side to him despite his infamous reputation of being a gold mine for controversial statements. During his speech at the Rizal Hall of the Malacañang Palace, Digong once again displayed his eloquence, although it was now free from expletives and stirred the nation's motivation for real change. 1. He believes he can't do it alone. "No leader, however strong, can succeed at anything of national importance or significance unless he has the support and cooperation of the people he is tasked to lead and sworn to serve." 2. The power remains in the people. "It is the people from whom democratic governments draw strength and this administration is no exception. That is why we have to listen to the murmurings of the people, feel their pulse, supply their needs and fortify their faith and trust in us whom they elected to public office." 3. The nation's woes stem from four main problems. "There are many amongst us who advance the assessment that the problems that bedevil our country today which need to be addressed with urgency, are corruption, both in the high and low echelons of government, criminality in the streets, and the rampant sale of illegal drugs in all strata of Philippine society and the breakdown of law and order." 4. But one problem remains far greater than these four combined. "I sense a problem deeper and more serious than any of those mentioned or all of them put together... Erosion of faith and trust in governmentâthat is the real problem that confronts us. I see the erosion of the people's trust in our country's leaders; the erosion of faith in our judicial system; the erosion of confidence in the capacity of our public servants to make the people's lives better, safer, and healthier." 5. He needs the support of both Congress and the Commission on Human Rights. "In this fight, I ask Congress and the Commission on Human Rights and all others who are similarly situated to allow us a level of governance that is consistent to our mandate. The fight will be relentless and it will be sustained... You mind your work and I will mind mine." 6. He knows his boundaries. "As a lawyer and a former prosecutor, I know the limits of the power and authority of the president. I know what is legal and what is not. My adherence to due process and the rule of law is uncompromising." 7. He believes real change must start from within. "Malasakit. Tunay na Pagbabago. Tinud-anay nga Kausaban (Real change) - these are words which catapulted me to the presidency... These were battle cries articulated by me in behalf of the people hungry for genuine and meaningful change. But the change, if it is to be permanent and significant, must start with us and in us." 8. He will make nationalistic and unselfish choices. "Love of country, subordination of personal interests to the common good, concern and care for the helpless and the impoverishedâthese are among the lost and faded values that we seek to recover and revitalize as we commence our journey towards a better Philippines." 9. He is ready for a challenging journey. "The ride will be rough. But come and join me just the same. Together, shoulder to shoulder, let us take the first wobbly steps in this quest." 10. He wants a government for the people, by the people. "I direct all department secretaries and the heads of agencies to reduce requirements and the processing time of all applications, from the submission to the release. I order all department secretaries and heads of agencies to remove redundant requirements and compliance with one department or agency, shall be accepted as sufficient for all." 11. He's not a fan of corruption, especially when friends are involved. "I order all department secretaries and heads of agencies to refrain from changing and bending the rules government contracts, transactions and projects already approved and awaiting implementation. Changing the rules when the game is on-going is wrong." 12. He actually has a statesman side to him despite his blunt reputation. "On the international front and community of nations, let me reiterate that the Republic of the Philippines will honor treaties and international obligations." "On the domestic front, my administration is committed to implement all signed peace agreements in step with constitutional and legal reforms... I am elated by the expression of unity among our Moro brothers and leaders, and the response of everyone else to my call for peace." 14. He will not be selective in serving the Filipino people. "Let me remind in the end of this talk that I was elected to the presidency to serve the entire country. I was not elected to serve the interests of any one person or any group or any one class. I serve every one and not only one." 15. Last but not the least, he's ready to make the real change happen. "Why am I here? Hindi kasali ito riyan (This is not part of my speech). The past tense was, I am here because I love my country and I love the people of the Philippines. I am here, why? Because I am ready to start my work for the nation."